Terry is a Wealth Manager specializing in personal planning for retirement income, estate planning and tax management. 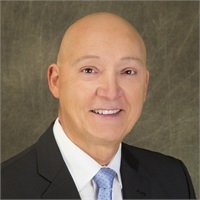 He owns an independent practice through Northpoint Financial Group whose broker dealer is Woodbury Financial Services, Inc. Terry is a Fiduciary and veteran of the financial services industry having started in the industry as a stock broker in the 1980’s. He currently holds multiple securities licenses including the FINRA Series 6, 7, 63 and 65. He also holds Insurance licenses in Annuities, Life, Health, and Long-Term Care and is licensed to do business in numerous states. He is a graduate of Quincy University and has 3 wonderful children. Mission Statement: LIFE IS EASIER WHEN YOU HAVE A PLAN!